With a century-long history, the University of Oregon School of Journalism and Communication is one of the first professional journalism schools in the country, the only accredited comprehensive journalism program to include advertising and public relations in the Pacific Northwest, and one of only 112 accredited programs worldwide. 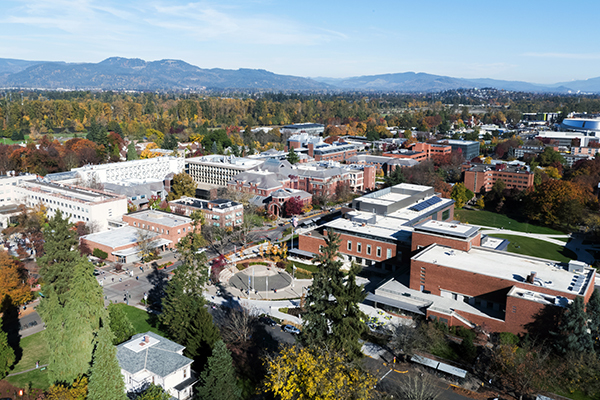 The UO School of Journalism and Communication is a community of media scholars and professionals dedicated to teaching, research, and creative projects that champion freedom of expression, dialogue, and democracy in service to future generations. Through our undergraduate and graduate programs in advertising, journalism, media studies, and public relations, we conduct research and craft nonfiction stories across multiple platforms on such critical and global subjects as the environment, diverse cultures, and international issues. We facilitate relationship building that entails respect for consumer advocacy, transparency, and civic engagement. By integrating theory and practice, we advance media scholarship and prepare students to become professional communicators, critical thinkers, and responsible citizens in a global society. In 1948, the SOJC became one of the first schools of journalism and communication accredited by the Association for Education in Journalism and Mass Communication (AEJMC, formerly the American Association for Schools and Departments of Journalism). Every six years, the Accrediting Council on Education in Journalism and Communications (ACEJMC) visits the SOJC and measures its performance against national standards. The ACEJMC most recently renewed the school’s accreditation in 2018. In accordance with the ACEJMC’s public accountability guidelines, the SOJC publishes its undergraduate retention and graduation rates. At the heart of the UO’s tree-filled campus in Eugene, Allen Hall houses the SOJC’s four undergraduate programs, three of its master’s programs, and a media studies doctoral program. It’s also home base for the new Media Center for Science and Technology, where students and faculty work to improve the public’s understanding of science. 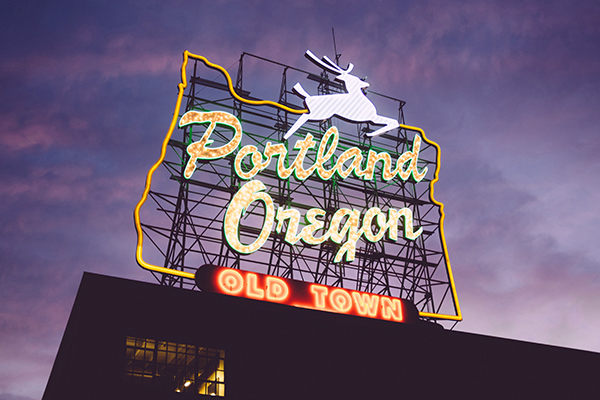 Located on the historic White Stag Block—a landmark in the middle of the biggest media market in Oregon—SOJC Portland is home to the industry-facing Agora Journalism Center, two professional master’s programs, and our new Oregon Reality (OR) Lab. Wonder what it’s like to learn and work at the SOJC? Sign up for our quarterly email newsletter or flip through the digital versions of our annual yearbook, viewbooks, and program brochures. Founded in 1916 by renowned newspaper journalist Eric W. Allen, the SOJC is built on a legacy of ethics, innovation, action, and excellence that’s over a century in the making. Browse the interactive timeline below commemorating our 100th anniversary to see the milestones that have shaped the school’s development and its contributions to students and the field.